2010 has been a busy and successful year in which we have provided a number of new and extensions to existing CCTV systems. All of the projects we have been involved with have benefited from our extensive experience as a technology leader for IP based CCTV systems allowing us to advise which products and configurations are best suited for each project. In this way we have worked closely with users and installers, clarifying technical specifications and helping to develop integrated solutions that meet Operational Requirements by not only delivering high quality video images but the latest recording and management features too. The latest CCTV research by Frost & Sullivan, IMS, MBD and others is forecasting that IP is the future for CCTV and that IP technology will drive future growth. We have spoken many times about the benefits of IP CCTV prompting industry-wide debate most notably with “The true cost of IP CCTV” in which we challenged Mike Newton’s (Dedicated Micros CEO) claims that IP CCTV was expensive and unreliable. 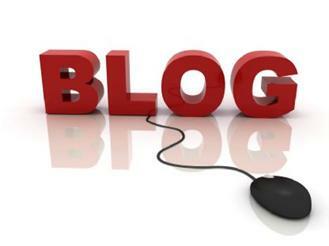 A series of follow up articles including “CCTV Video Image Quality is Everything” and “Is IP cost competitive?” led to more debate both online in theLinkedin forums, on the Controlware Blog and in print. 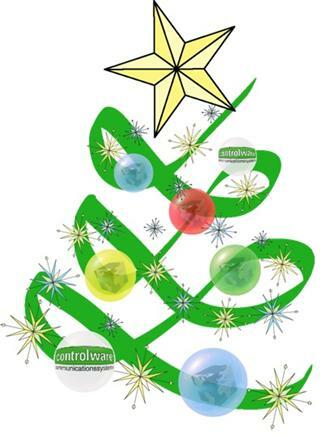 As we look to continued growth in the New Year I would like to thank you for your support in 2010 and wish you and your families every happiness this Christmas on behalf of the Controlware team. The support desk remains contactable on the out of hours number for 24/7 support as normal. In response to the True Cost of IP CCTV article by Mark Harraway (Country Manager, Controlware) that was a rebuttal of Mike Newton’s, (CEO of Dedicated Micros), claims that IP CCTV solutions are expensive and unreliable compared to analogue / hybrid solutions, Miguel Sabbe of DiViSec – Digital Video Security adds his views. In general, as Mark puts it, it (the original Mike Newton article) seems to be more of a sales pitch rather then a general debate. It goes without saying that I am convinced of the future of true and pure IP. •Network failure ? Only poorly defined systems/networks tend to fail. A properly built and configured network is among the most reliable components of an organization. Why else would any and every major organization and entity rely on networks to transfer information and valuable data? •The burden put on a network by an IP CCTV system, is not purely the fact it’s IP, but rather the type of components put on it, and the actual configuration of the network. Again, poorly configured networks will consume far more resources than properly configured ones. •As for components put on the network, there is no common standard in cameras, in compression algorithms, in image quality, in fact there is no common ground whatsoever on IP cameras. Some manufacturers even call mjpeg a digital compression algorithm. Point is that there is an enormous difference in bandwidth (and thus in network load) between different IP cameras, even amidst cameras of a same brand! Chosing a proper IP camera, with decent H.264 compression, and a proper implementation of this algorithm, will deliver bandwidth for effective network efficient streams. •If high numbers of devices need to be implemented, a multicast network should be considered. If multiple, external or public network connections need to be defined, a trancsoding engine should be considered, as correctly suggested. •Decentralised architectures, edge-enabled systems, as opposed to client server architectures, could indeed be defined as slightly more reliable, simply due to their configuraiton. However, even in typical IP environments (which are here referred to as client/server) back-up storage, fail-safe recording, guaranteed functioning, failover network, dual ring configurations, etc, can be foreseen, with the same limited cost! This client/server architecture is actually also the ‘result’ of the lacking of any common denominator or language in IP CCTV so far. Hopefully, ONVIF or PSIA will solve this issue going forward. At that time, all units and all devices should be capable of communicating directly with one another, thus creating the absolute key advantage of an IP system. •As for the example of a 750 camera system, and the cost ‘estimation’: first and foremost, the points mentioned are correct indeed of course; network performance, servers costs, CPU requirement for analytics, etc, etc, all put high demands – and thus high costs – for the system! However, at this moment the only environments where I have found 750 cameras running on one single LAN network, storage being centralised in one single location, is either an airport or a casino. Both are high risk, high security facilities, where cost of the CCTV system is less dominant, to say the least. •Any enterprise, where the security director or the integrator, has the least bit of common sense, will distribute their architecture, thus pushing processing, recording, storage, etc as far to the edge as possible. The least one will do in such projects, is to create different nodes or clusters, each of which “function” on their own. 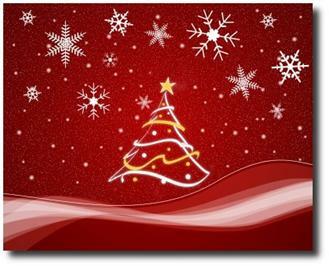 •The specification, and thus also the cost, of a decoding server, is again related to the lack of a common algorithm: the ‘burden’ to decode an mpeg-4 or H.264 stream is again heavily dependent on the quality of this stream, or the way the compression algorithm is implemented. When using “good” cameras, one can achieve a high number of streams onto one single machine, thus displaying up to almost 100 streams on a single machine. All however depends on the cameras, their compression algorithm, the way it has been implemented, etc etc. •As for driving video walls, the limits there are defined by video wall manufacturers, rather then by IP CCTV manufacturers. Having said this though, it is true that you do not necessarily need expensive multiple units, decoders, and video wall drivers. Far more effective (and cheaper) solutions exist in the market today! •The concept of the ICR seems somewhat contradictory to the statements made earlier on distributed architecture: with such ICR, one puts all functions into the camera itself, and the camera is actually referred to as a ‘server’. What processor(s) are used ? How much heat is dissipated ? How much noise is generated ? What are operational specs for such device ? What dimensions will such device have ? With the definition of this ICR, it is again referred to failure of the TCP/IP structure or the network. Repeating the first question, how often do we actually still see true network failures?? Does this ICR have 2 processors? Which? FPGA so they are field upgradeable ? Or ASIC which means they aren’t? How is licensing handled/stored/managed? •Most interesting aspect of this whole paper: there is no mentioning or referral whatsoever to non-IP parts. The only key message I find in this paper is that of a distributed architecture, vs a centralized one, no more, no less. All in all, one might argue that several things hold true, that there are numerous reasons to remain with ‘old’ analogue technology, that IP isn’t necessarily the answer to all our concenrs and questions. However, the drive to this new technology, which I prefer to call the merger into IP, in line with what happens all around us, is simply forced onto us by the market itself! Every product or technology we use in our CCTV business, is a direct derivative from a consumer product (VCR, CCTV camera, DVR, NVR, …..). So in this respect, our industry simply follows developments of consumer electronics. So as for what the future brings us: simply look at consumer markets; access anywhere, anytime; full wireless systems; broad bandwidths available all around; massive data transfer over (even public) networks; full HD television; multi mage pixel cameras (still as well as moving images), ever increasing HDD sizes; ever longer storing of images; gigabit networks even in residential environments; …. The industry is simply going digital, full stop. Look at Sony for example, world’s biggest manufacturer of sensors. For several years already, no more R&D is spent on traditional sensors; all investment are going into digital technology. So even if one would want to remain with analogue, the industry will simply prevent this. This evolution, combined with price decrease of digital technology components (network cost, switches, routers, PC, servers, HDD, storage, …) shows that the shift towards a complete digital world is simply inevitable. The point of an end-to-end solution vs multi-vendor solutions is – to my belief – a key advantage of the IP world: one can pick and chose various parts and components, and create his solution with different building blocks from different vendors. This way, the customer is ensured he has a solution that perfectly meets his demands, that fits his requirements perfectly, and that offers the best price/quality ratio. Manufacturers in their turn can focus on their core competences, and develop strong VMS systems, high quality IP cameras, cost effective storage systems, new processing & analytics algorithms. When (not if) we have common standards in our industry, customers will be able to simply pick and chose products, systems and solutions, and have the ability to easily connect them together. To read the original articles about the analogue Vs IP CCTV debate and receive a free cost breakdown for a 750 camera system (mentioned as an example in the original article by Mike Newton), click here. A free CCTV systems white paper and cost breakdown is available here. Controlware are leaders in advanced IP CCTV solutions and services. Projects include St Pancras International, Charles de Gaulle Airport, North Lanarkshire Council, Bahrain Grand Prix to name a few. Download the free white paper to learn about CCTV, the technology behind video surveillance and system costs. Taking sides: CCTV security, what do you think? Which technology is the best to use? How much does a large system cost? To download the documents and discuss click here. Two opposing articles from different sides of the fence outline the pros and cons for analogue / hybrid and IP based CCTV systems. Mike Newton, CEO, Dedicated Micros argues for analogue / hybrid systems while Mark Harraway, Country manager, Controlware argues that IP based systems deliver more benefits. The debate further centres on costing a 750 camera system. You are currently browsing the archives for the 750 IP CCTV cost breakdown category.